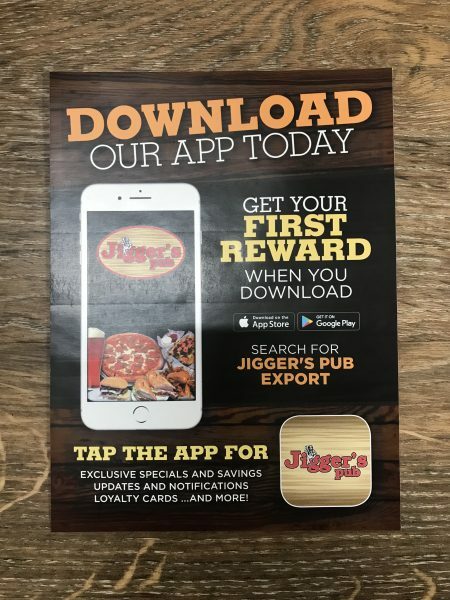 Jigger’s is going digital! Download the brand new app for exclusive coupons, and to open your Lunch Club rewards card right on your phone! Our full menu is available, and we will be sending out notifications anytime we have events or things going on!